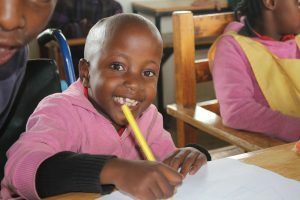 April 22, 2019 Wir helfen Waisenkindern mit Behinderungen in Kenia! HOW WILL I LOOK LIKE? It’s happening on a very hot day in August: Kenyan policemen are about to prepare a checkpoint for the day, as one of them becomes aware of a strange sound out of the bushes behind him. He finds a new born baby. The umbilical cord can be seen. Immediately the policeman rushes to the nearest hospital with the small girl. Doctors identify that the back of the baby is severely injured. The baby is physically handicapped. A nearby orphanage becomes the home of the newborn, which tries its best to take care of the baby – as good as possible. A nice name is given to the small girl: “Baraka” (swahili: “the blessed one”). Baraka is found by coincidence in summer 2009 by kenyan poilce in the bushes of the Nairobi-Nakuru-Highway. It’s obvious that she has just been born. Maybe she is only one or two days old. The umbilical cord can be seen. The policemen bring her to hospital, where a severe back injury is identified. Diagnosis: Spina Bifida and Hydrocephalus. Baraka is physical disabled. She is paraplegic. After her first days in hospital an orphanage is found for her: the “SAIDIA-Children’s Home”, based in the small town of Gilgil, located in the Rift Valley. “Why on earth does a mother dumb her newborn in the bushes?” We are stunned and speechless. We are shocked and moved. And happily amazed how Baraka deals with her situation: In front of us we see a smiling and laughing child. She seems to be a happy small 6 year old girl. We are told that soon the new schoolyear will begin. For Baraka too. 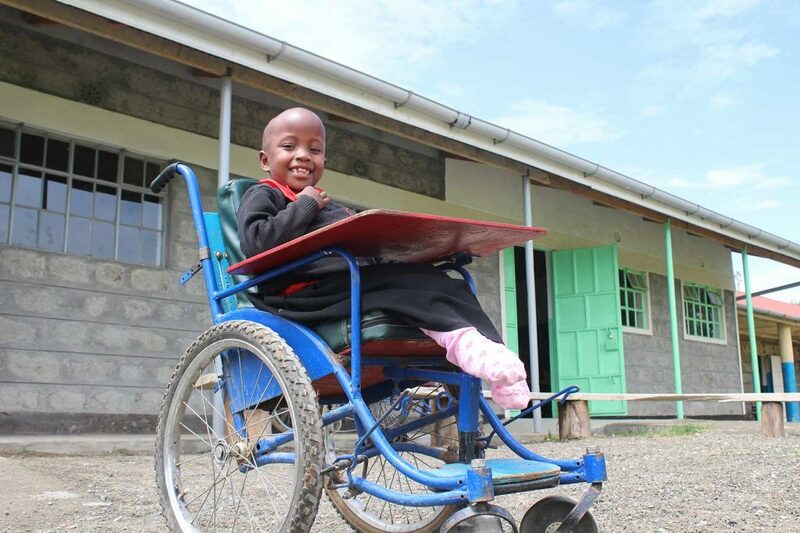 The nearby GILGIL SPECIAL SCHOOL is chosen for her, an institution specialized for children with special needs. But Baraka turns out to be a very smart and clever girl. After only one year in that school we decide that she should rather go to a better school, and are very happy, when the headmaster of the so called “JOY TOWN SCHOOL” in Thika (a small town close to the capital Nairobi) informs us that he can offer a place for Baraka in his boarding school, which is nationwide renowned for its high standards. The “JOY TOWN SCHOOL” is specialized only on physical disabled children. 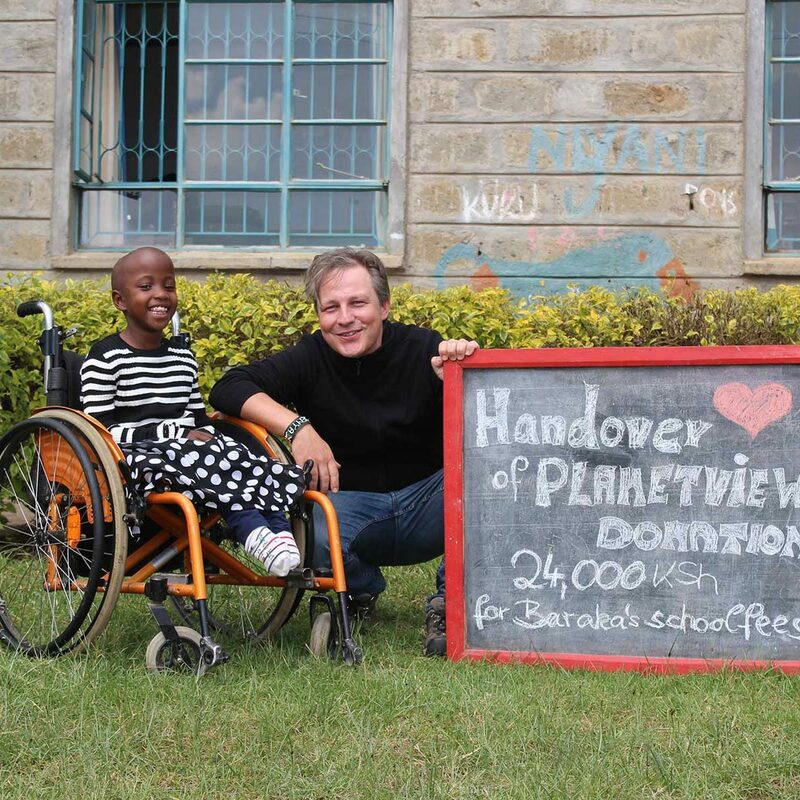 Barakas most favorite subjects are english, swahili and mathematics. She loves painting. Expecially with her most favourite colour: blue. Her most favourite african animal is the elephant. 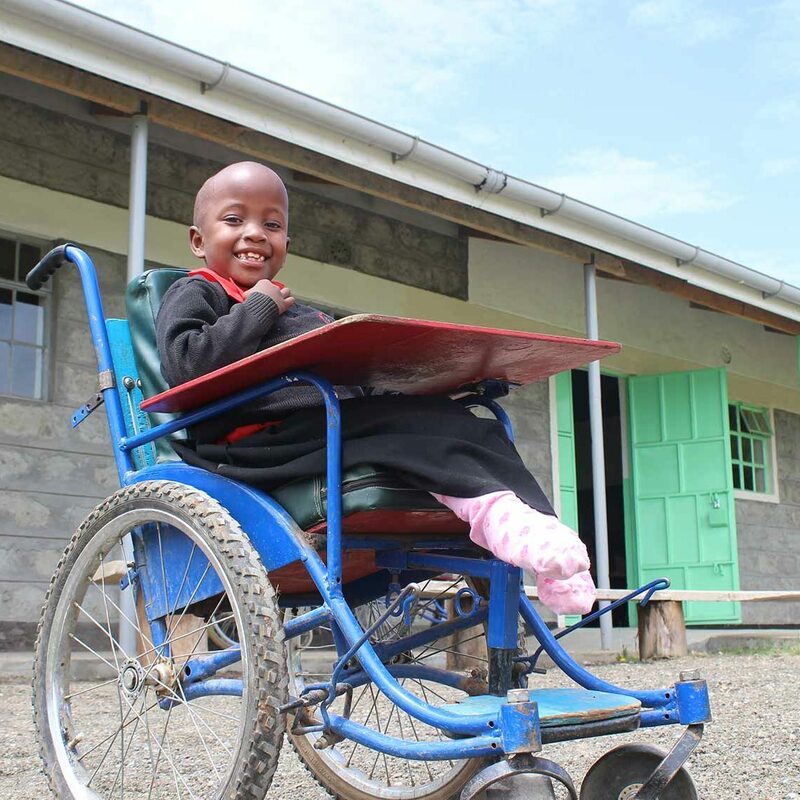 It’s sad – but true: In Kenya many newborn babies who are physical handicapped are abanonded. In some kenyan tribes people still believe that giving birth to a handicaped child will bring a curse over the family. Tragically no centres can be found which care professionelly for one of the most vulnerable group of the Kenyan society: handicapped children. That’s why kenyan police, children offices, community workers and social workers of orphanages are overwhelmed with the professional treatment of such kind of children. – eroding social system: In Kenya, more and more it can be registred that relatives refuse to take care of the the offspring of their extrended family.